This question above is highly relevant to all educators. Brain-based teaching is the active engagement of practical strategies based on principles derived from brain related sciences. All teachers use strategies; the difference here is that you’re using strategies based on real science, not rumor or mythology. But the strategies ought to be generated by verifiable, established principles. An example of a principle would be…”Brains change based on experience.” The science tells us HOW they change in response to experience. For example, we know that behaviorally relevant repetition is a smart strategy for skill learning. We know that intensity and duration matter over time. Did anyone know the optimal protocol for skill-building to maximize brain change twenty years ago? Yes, some knew them, through trial and error. But at issue is not whether any educator has learned a revolutionary new strategy or not from the brain research. Teachers are highly resourceful and creative; literally thousands of strategies have been tried in the classrooms around the world. Brain-based education suggests we not wait twenty years until each of these correlations are proven beyond any possible doubt. Many theories might never be proven beyond reasonable doubt. It’s possible that the sheer quantity of school, home and genetic factors will render any generalizable principle impossible to prove as 100% accurate. Yet, in the example from above, the data from neuroscience is highly suggestive that gross motor voluntary exercise enhances neurogenesis and that neurogenesis supports cognition, memory and mood regulation. The neuroscience merely supports other disciplines, but it’s a discipline you can’t see with your naked eyes, so it’s worth reporting. Brain-based advocates should be pointing out how neuroscience parallels, supports or leads the related sciences. But neuroscience is not a replacement science. Schools are too complex for that. Learning and fun should go together. These two work complimentary to achieve overall success in learning. 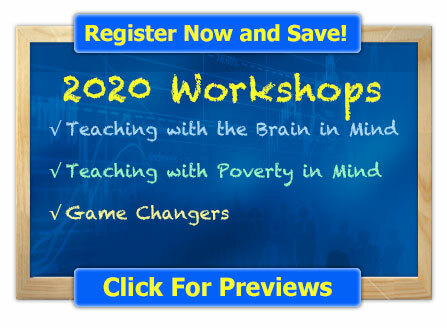 Important practices are presented throughout this video that would greatly enhance the learning environment in the classroom considering that these strategies are brain based. “Environmental influences to be more significant than hereditary factors…30-60 percent of our brain’s wiring, while 40-70 percent is due to environmental factors,” (Wilmes, Harrington, Kohler-Evans, & Sumpter, 2008). Students are with their teacher for about 180 days out of the year; it is imperative that they are provided with a climate that is welcoming, safe, and fun. Therefore, this certain piece examined these environmental criterions and how they can impact the learning process. In my professional opinion, I feel as though the more research done about the brain, the more informed my decisions in the classroom can be due to this knowledge. The senses influence mood, attention, memory recall, and behavior. Smell, sound, sight, and movement are the four major aspects that were discussed in this video. As seen, implementing music as a learning tool can increase instruction time as well. The integration of planned colors and lighting can also change the learning process in a positive manner. Since physical activity affects the brain in respect to cognitive development, these findings can be interwoven with movement. I have seen these suggestions make a vast difference in the behavior of my students! We all enjoy receiving a break to stretch and to just be able to move around. Why not in our own classrooms? Implementing planned lesson energizers, brain breaks, classroom outings, and exercise can truly benefit all students in the classroom, especially students with ADHD. As a teacher, I can also implement movement through role play, music, and stretching. Also, allowing time to have a “mental break” can benefit all students from taking a time out from cognitive tasks. Another reminder that some teachers forget to keep in mind is to not allow students to be seated for long periods of time. Movement in the classroom is just a smart way to engage students in the learning process with all of the positive impacts it has on the brain and academic achievement. In conclusion, the brain is an integral part to learning. Its functions and wiring is so unique that one cannot help but to be amazed! In the classroom, recognizing the duties and responsibilities of the brain and how that impacts learning can truly benefit a teacher. In my classroom, I hope to educate my students about how their brain works so that they can become better equipped to evolve into autonomous learners. 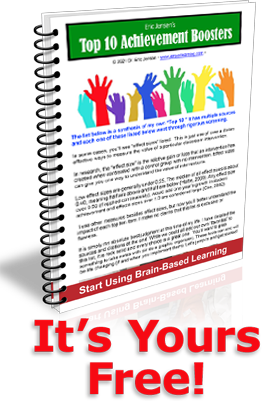 I have utilized several brain-based strategies in my classroom and I have witnessed how the strategies have helped students with ADHD and students from poverty. I love finding strategies that inform my practice and aid in making me a better teacher to serve my wonderful students!